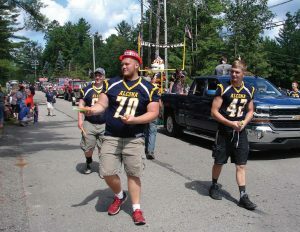 Bad fireworks jokes aside, we have a great summer story for you about Barton City, a little tiny entity in upper Michigan. And this itty-bitty unincorporated community in Alcona County boasts a grand total population of only 450 in a 2016 census. 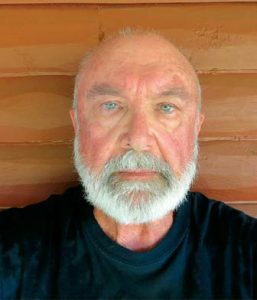 Alcona County, which covers a multitude of nine cities, towns and villages, sits right in the center of Huron National Forest, and Bill Lossing of Barton City has stepped forward to share his eight years of volunteering experience with the holiday, which first became Barton City-renowned in the early ’60s. Lossing, retired from 29.7 years with the automotive industry, is a dedicated volunteer tasked with planning the fireworks each July and a few other events during the year. “Because Barton City has no mayor or town manager, we are under the jurisdiction of Alcona County and have township supervisors for the two townships, which split Barton City roughly in half,” said Lossing. “Jim Burger takes care of Millen Township and Rodney Cordes of Hawes Township — both of whom grew up in the area. The festivities run on July 3 and 4 this year with fireworks on the actual Fourth. Because the two-day event is so large for such a tiny town, one of Lossing’s biggest challenges is finding volunteers and raising money. 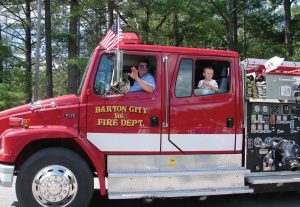 “The Barton City Improvement Association, of which I am president, sells advertising space in our annual booklet and accepts donations from anyone willing,” said Lossing. “I order the fireworks, help set the show and then go watch the show. 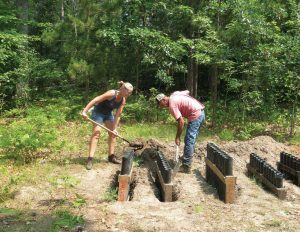 Everyone associated with the BCIA is a volunteer. We have no paid help for any event we sponsor. 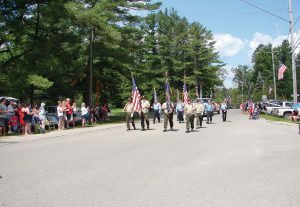 The yearly booklet that Lossing referred to is an annual collection of paid advertising, good wishes, Fourth of July pictures from previous years, pictures from other local events, schedule of events and pictures from the previous parade. 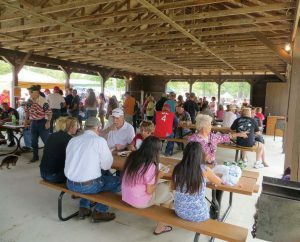 Some of the duties the volunteer clan has been tasked with include cooking and serving food, entertaining kids, supervise the food and beverage areas, cleaning up the park and the fireworks areas. So far, the event has had a good safety record, with no accidents that Lossing is aware of. Some of the family activities at the occasion include a horseshoe tournament, goldfish races for kids, a grease pole, a sawdust pile, sack races, three-legged races, a beer tent, a cook shack, a vendor area and clowns, according to Lossing. As for fireworks, Barton City has worked with Wolverine Fireworks Display Inc. Jenny Campau, display manager for Wolverine Fireworks Display, noted, “Our fireworks assortments offer a wide variety of effects so no two shows are ever the same from year to year. For city professionals who may be contemplating setting up their own municipal fireworks programs — what should they be aware of? Finally, Lossing said he gets the most satisfaction on the Fourth of July when people tell him those were the best fireworks they had ever seen.